Tuckett's choreography is sympathetic and ingenious, giving an impression of overarching space within tight confines. 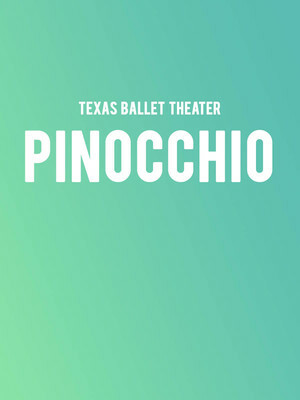 Why See Texas Ballet Theater - Pinocchio? 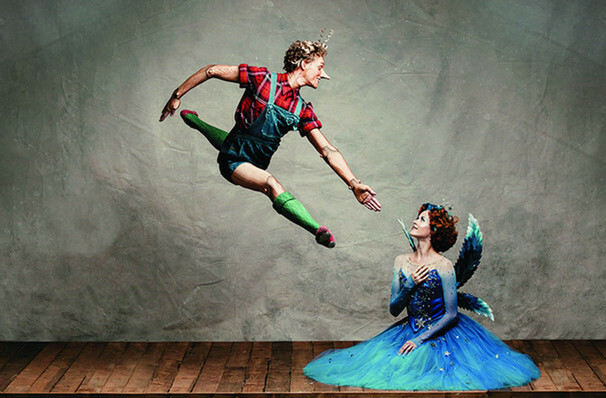 An enduring fable that has captivated both kids and adults since it first appeared over 130 years ago, Pinocchio finally makes it to the ballet stage in this inventive and exciting new production from Will Tuckett. A Co-production of Texas Ballet Theater and the National Ballet of Canada, Tuckett and composer Paul Englishby have breathed fresh life into Pinocchio's adventures, adding bold choreography and innovative stagecraft, making the story of the puppet who wanted to be a boy into an unmissable theatrical extravaganza. Originally written as an Italian children's novel in 1883, the story of Pinocchio has transcended many art forms. Following the story of a man who so wishes for a child of his own, that he creates one made of wood. Granted life by the blue fairy, the naive and mischievous marionette discovers what it means to be a boy, and managing to cause uproar in both his life, and that of his father-creator's! Sound good to you? Share this page on social media and let your friends know about Texas Ballet Theater - Pinocchio at Winspear Opera House. Please note: The term Winspear Opera House and/or Texas Ballet Theater - Pinocchio as well as all associated graphics, logos, and/or other trademarks, tradenames or copyrights are the property of the Winspear Opera House and/or Texas Ballet Theater - Pinocchio and are used herein for factual descriptive purposes only. We are in no way associated with or authorized by the Winspear Opera House and/or Texas Ballet Theater - Pinocchio and neither that entity nor any of its affiliates have licensed or endorsed us to sell tickets, goods and or services in conjunction with their events.